汪峰's team displayed a stark contrast to 那英's loving team. They are fiercely competitive and they sound like they are going to kill each other (figuratively, of course). But, what a show! I am convinced that 汪峰 made some excellent choices during the blind auditions to build a super capable team, and this continued on in this episode. I always trust his choices to be more objective and also that he will push his students to improve. Anyone can tell that 耿斯汉 is 汪峰's favourite contestant (and the other judges are equally impressed with him, if not more). His insane ability to control the channeling of his voice has got me enthralled and I immediately replayed the song. He can calm your heart down in one line and raise your adrenaline in another. I can never get enough of his voice. Never. To me, he has reached the ultimate excellence of this genre. Even compared to my previous seasons' favourites like 梁博/张恒远 who carry the same style, he is in a totally different league. I would go as far to say that he is the strongest in this team, and is most likely to win the whole competition. Check out my favourite moment of his performance at 0:28 (每天早上我数一二三~~) - the way he sang it is so.. 耿斯汉-sque. It's not his explosive moments that I love, but the moments after. Now, who's with me?! He kind of reminds me of a casual performance in an American diner, he makes singing sound very effortless. However, beyond that... I couldn't really tell the awesomeness that the judges speak of except that his voice is really distinct and exotic. In my opinion, it is also in his favour because his opponent is 莫艳琳 - who is the good friend of 汪峰's girlfriend. He might have chosen against her to fend off criticism of bias. Then again! From what I know 汪峰 doesn't seem to care much about what other people think of him. Initially, I couldn't imagine how could 张心杰 lose to anyone. After his rendition of 大惊小怪, I was really, really impressed with him. 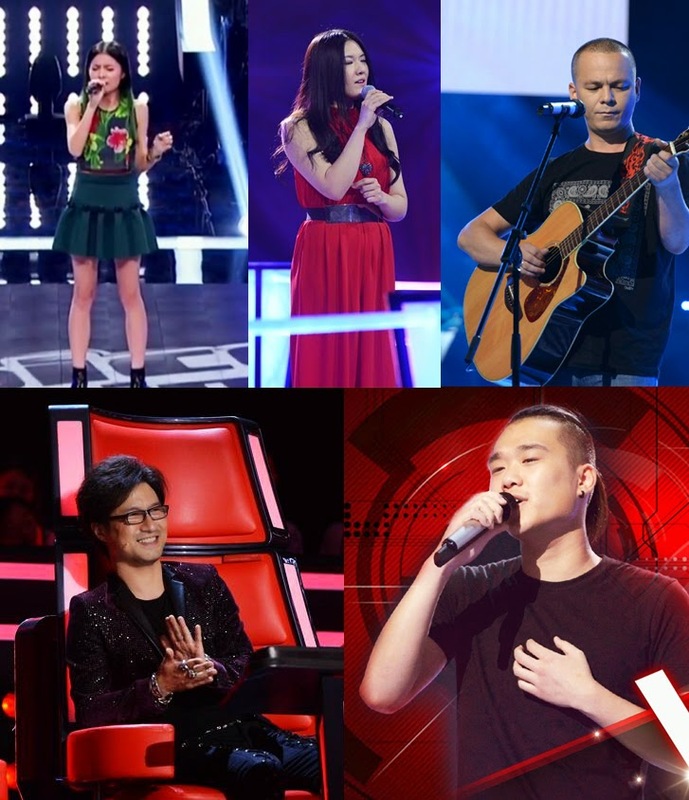 Perhaps the judges consider 耿斯汉 as the new benchmark for this genre (strong-emotional songs) so everyone else in the category was marked down. 李琪 in comparison excelled in her performance, showcasing her Black-voice. This is not meant to be racist, just an adjective for the characteristic quality that is usually only found in Black female singers. It is very special and managed to bring out a lot of emotions as well. Upon close listening, she does deserve a place as top 4. I think this is one of the most surprising candidates because I never really noticed her. She is like a cross-between Avril Lavigne and Cecilia Chung. 汪峰 noticed that her song choices are very varied and that she is able to deliver all of them wonderfully, thus making her a really flexible candidate. Her strength is in her firm and steady performance, but I don't think that will bring her too far in this brutal competition. The "hollowness" element in her voice will pale in comparison to 刘明湘 from 那英's battle team too. For anyone paired with 耿斯汉, you know that he/she will be a sacrificial lamb. It's terribly unfortunate that one of my favourites happened to be in this stage. His rendition of 私奔 might not be as strong as 梁博's, but at least he sings with a lot of heart and emotion, creating a song that's worth replay. Read who's in the top 4 in 那英's battle team and what I think about their chances! I don't think 帕尔哈提 could beat 王卓. Really, i don't understand what 帕尔哈提 sing, neither any feeling nor meaning. 帕尔哈提 is a winner due to political reason. 张心杰 is unlucky, his voice is filled with mood, felling, power and energy. 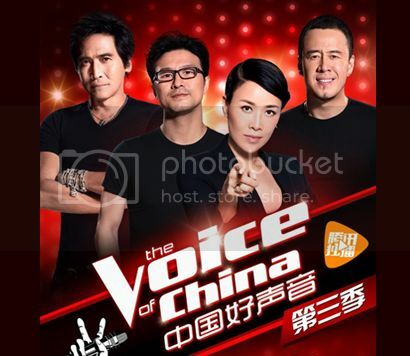 张心杰 is a loser due to his background.李琪 is a winner due to a unique voice, but not touched. My dream top 4 would be 耿斯汉/张心杰/ 陈直/陈乐基..
wang feng only wants to pick the younger ones. Good observation, I didn't see it in that light. Wangfeng choices was actually my choices for the night based on individual performance to the song given that night. To be frank, Wangfeng choice s was based on the uniqueness of individual performance without much bias. For the best judgement of HSY3 individual performance, one must have a good sound system PC or home stereo setup. Only with a good sound setup, then only you can hear the very best sound of, or the so-so/not stable sound of each performer. So listening 帕尔哈提 performance through good sound system, one can realize how good he is. He really got a unique singing style together very relax perfomance really score a lot for him. Must admit, himself already a famous singer in German also added a lot confidence to his singing. 张心杰 not just choice wrong song, but he are losses himself to the much more capable 李琪. During blind audition I've thought she only that good to sing similar to Adele and got the teachers turning their chairs. During WF battle, she sing so relax with all the need to demo the high & low tunes that expresses more emotions in that song, Make You Feel My Love, make her more favorable choice to WF, and myself. I'm not saying 赵祺 was not at his best, the problem was his voice got all too predictable, smooth(rough? lol) but without different emotions into the song. Rocky, he should be ousted as he's going too over the top and let his voice out of control,. 王卓 at the other hand, sometime hard rock, sometime too gentle and out of sync to his own voices. Probably he's not use to that song so not too sure about express it better. Both of them are very good singer and having very great voice, but it's a pity when think got unstable to both of them. HSY a singing competition, the 09/30 final day judgement with 100 media representative voting who's the winner will be even cruel as there will be too many individual prefer voice.